WUHAN, July 12, 2014 - Japan's Tenketsu Harimoto(R) goes up for a shot during the match between Japan and India in the 5th FIBA Asia Cup basketball tournament in Wuhan, capital of central China's Hubei Province, July 12, 2014. Japan beat India 75-52. 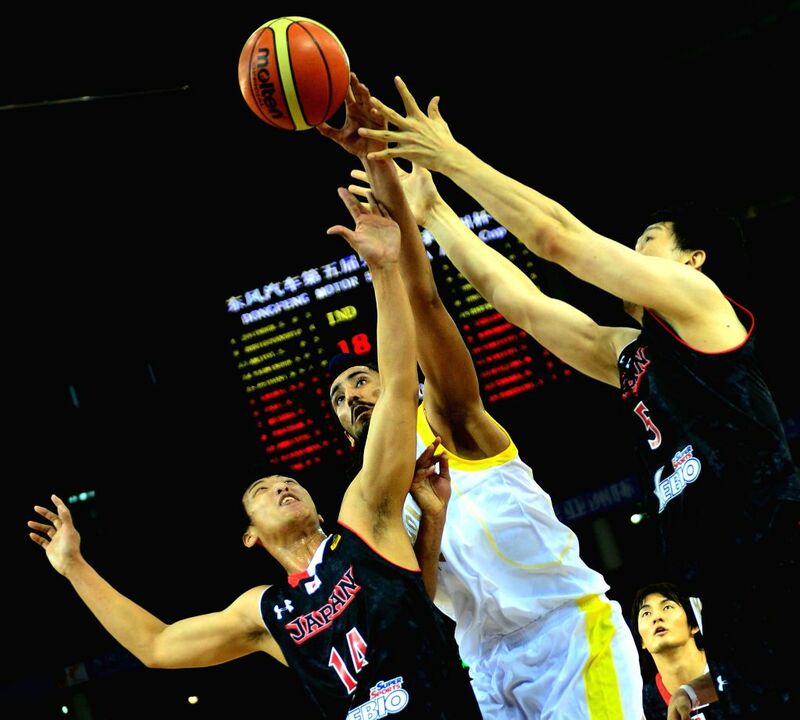 India's Mohammad Jamshidi(Top) tries to shoot as Japan's Tenketsu Harimoto defends during the match between Japan and India in the 5th FIBA Asia Cup basketball tournament in Wuhan, capital of central China's Hubei Province, July 12, 2014. 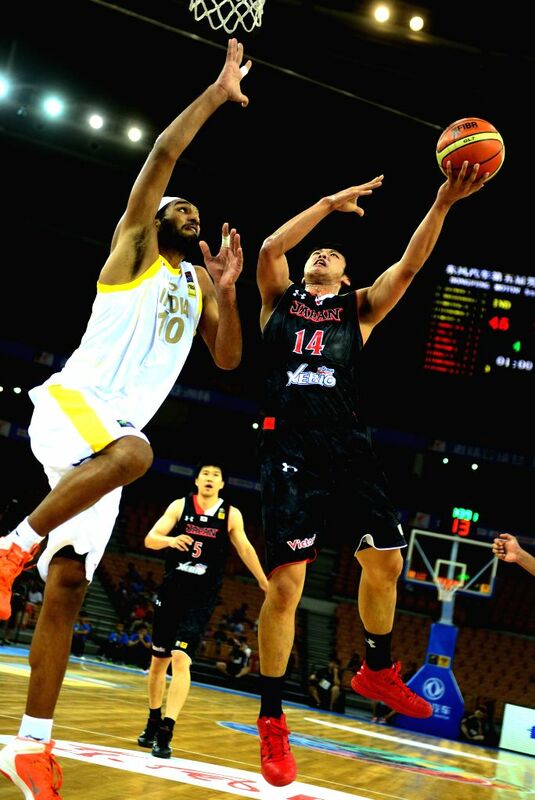 Japan beat India 75-52. 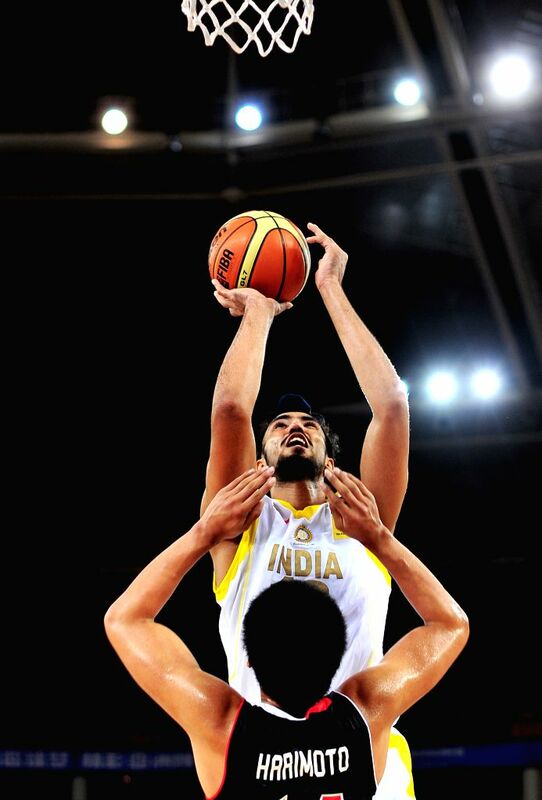 India's Amjyot Singh(C) competes during the match between Japan and India in the 5th FIBA Asia Cup basketball tournament in Wuhan, capital of central China's Hubei Province, July 12, 2014. Japan beat India 75-52.